One aspect that makes language study at Q Language so special is the fact that our students join us here from all over the world. We are one of the only language schools in Hong Kong that can say this and it is one of the reasons that make our language school the popular choice for so many language students who come to Hong Kong. 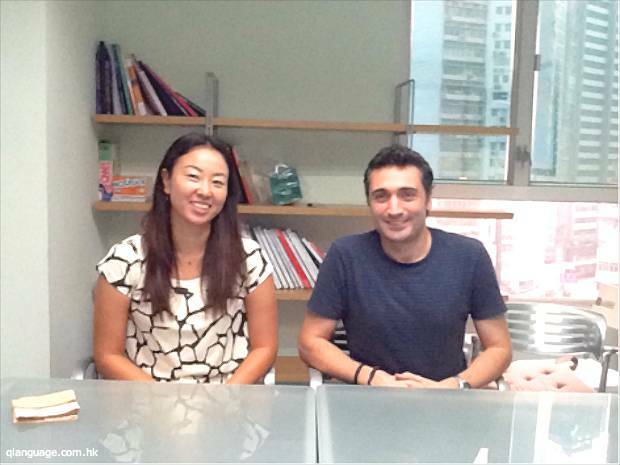 Both Cenk and Hiroko, like many other expatriates, followed their partners to Hong Kong and it conveniently gave them a good opportunity to start studying English. Hong Kong is such a modern city with many opportunities for shopping and for tasting interesting cuisines from all over Asia”. “I’ve been lucky to find many good opportunities in Hong Kong as well as meeting people from many different countries”. Cenk Gunay, studying hard with his classmates. Even though they had similar reasons for coming to Hong Kong, their motivation for studying English was quite different. Cenk chose to learn English to further his career as he had worked for an international company in Turkey and he knew that being able to communicate well in English would have boosted his career prospects. Hiroko, on the other hand, wanted to make friends with people from other countries and be able to travel independently or with her friends. 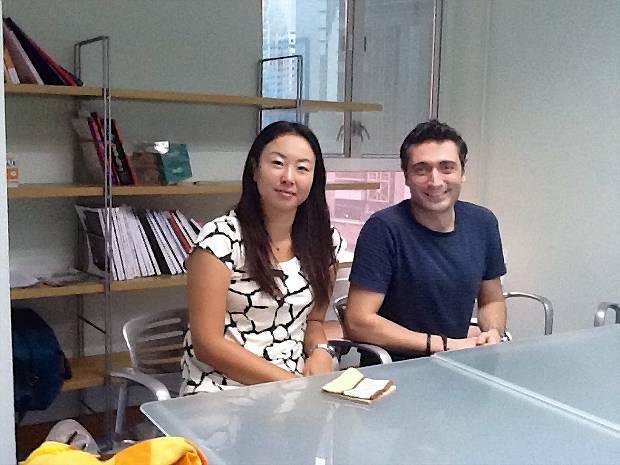 Cenk and Hiroko both agreed that the main reason for choosing Q Language over other language schools was the relatively flexible class schedules available. Cenk explained that he was able to build a schedule which easily matched his personal needs. Note: Q Language students can choose an Intensive schedule with morning and afternoon lessons up to 24 hours per week with group and private lessons or a more relaxed schedule with only a few classes per week. See all English courses and schedules by following the links here. Cenk’s also pointed out that Q Language was easy to find on the Internet and that the website had all the necessary information he needed. Hiroko, on the other hand, got a recommendation from her friend whose English had improved a lot after taking an English course at Q Language. For many language students, the most important goal is to improve their speaking skills, and Hiroko and Cenk agreed that this was especially important for them. He was quite content, too, that he didn’t have to sit any exams! The only negative point that the students came up with was that this experience has to come to an end. As a result, when that day comes, both of them plan to continue studying by reading books and newspapers as well as listening to English radio or watching English films and TV programs. It has been a pleasure to follow Hiroko and Cenk on their journey. From the start, both of them worked hard and both were highly motivated. 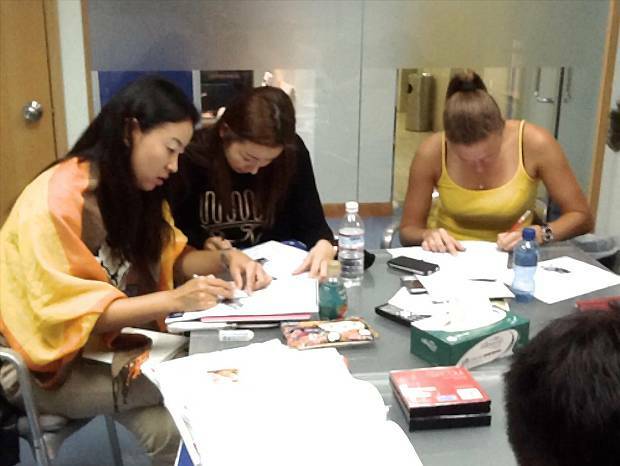 Consequently, they have gained a lot more confidence and a real passion for learning English. For everyday situations, this means that Cenk and Hiroko are able to express themselves better and they no longer shy away from any situation when it comes to English. We would like to send a big thank you to Cenk Gunay and Hiroko Ku for sharing their experience of studying English with us and thank them, too, for choosing Q Language. As with all our students, we wish them continued success with their language studies and respective chosen life paths. As always, please click ‘LIKE’ on the <====== left. Also leave a comment below and share this post with others. I always like to read quality content and have accurate information regarding the subject. I found both in this post. Nice work, thanks.